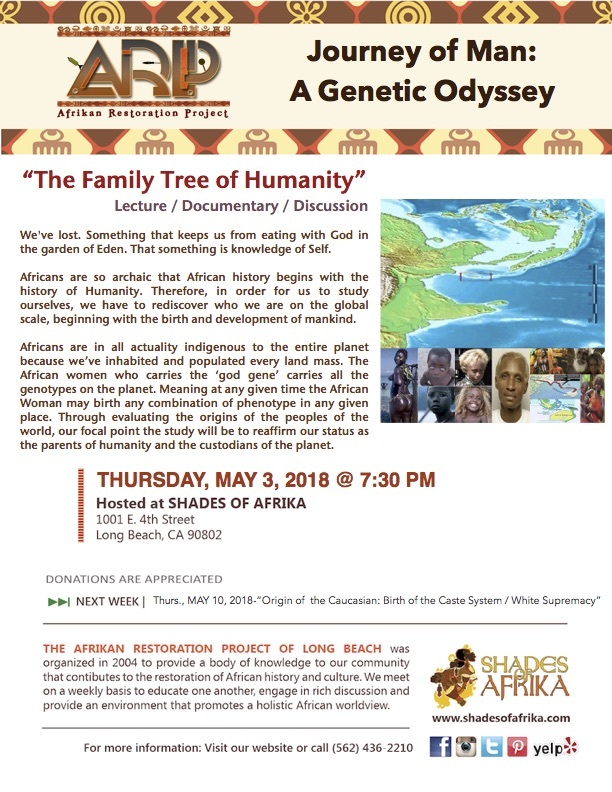 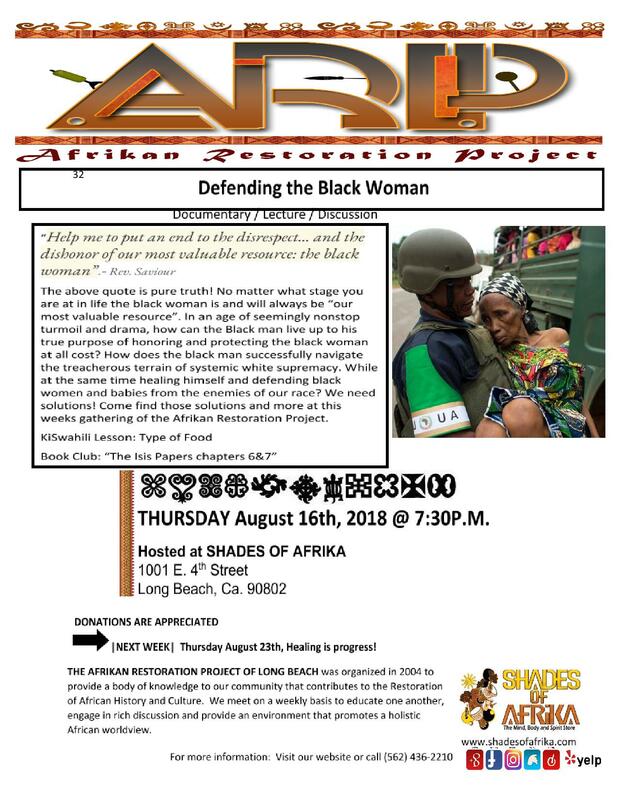 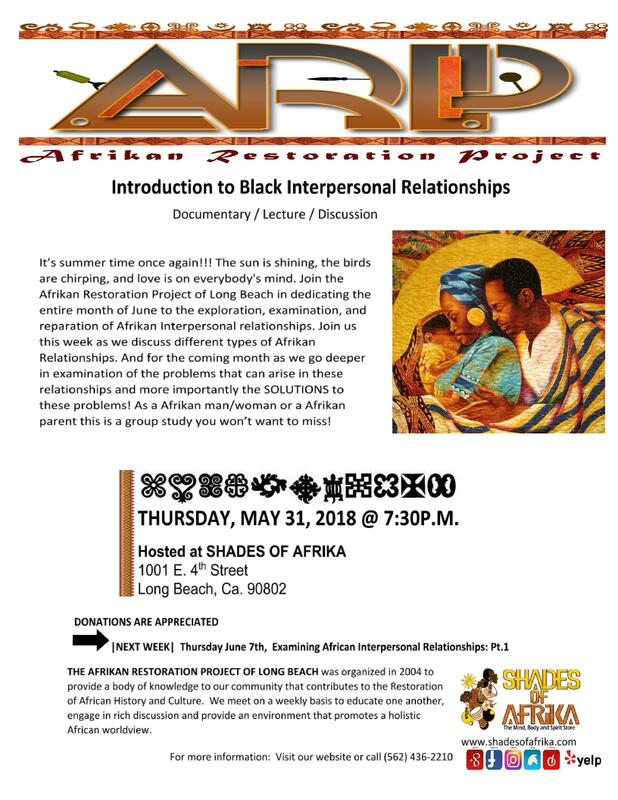 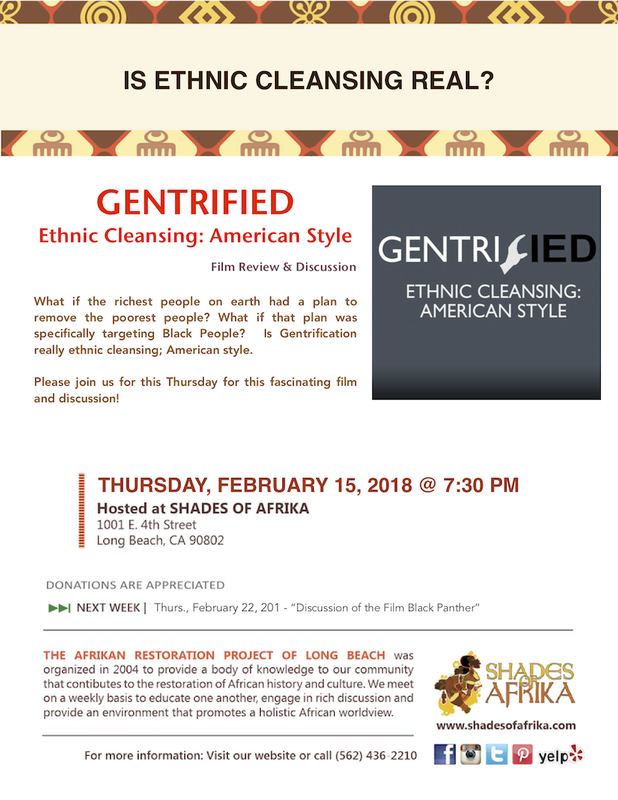 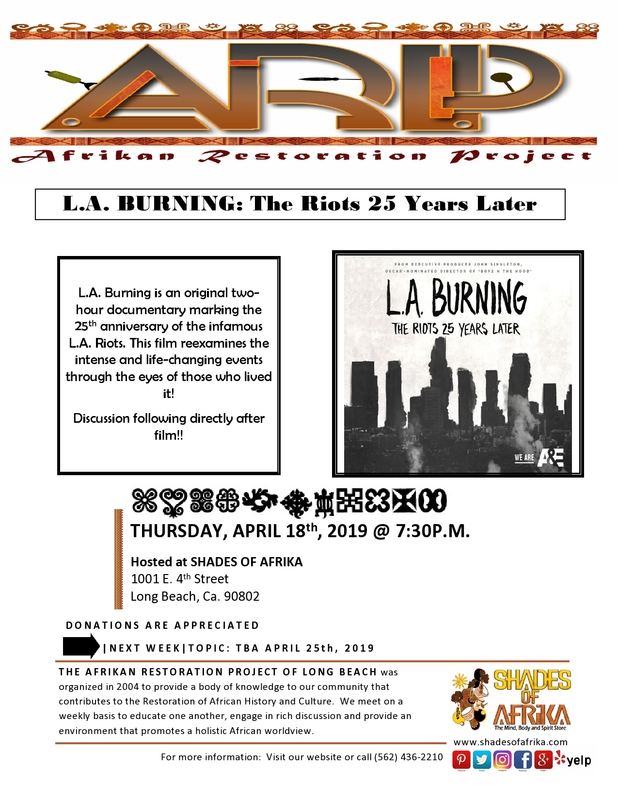 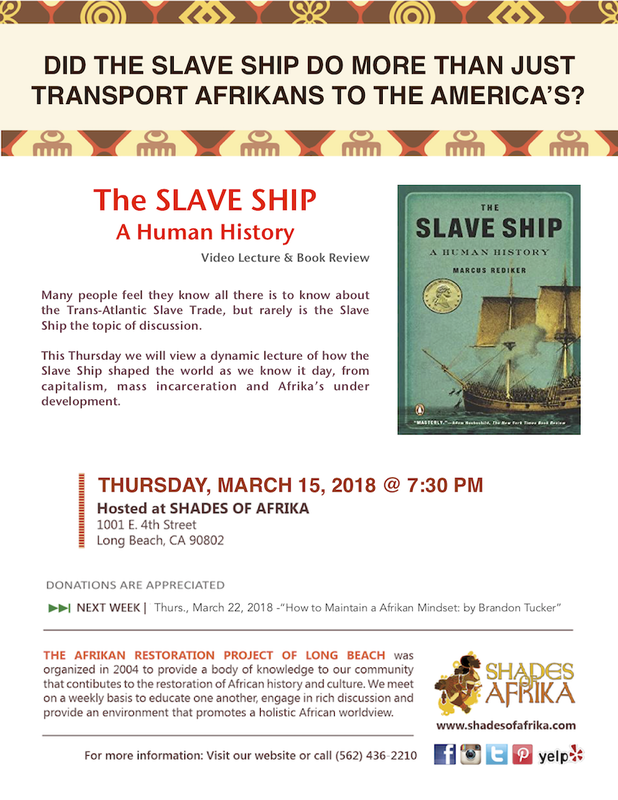 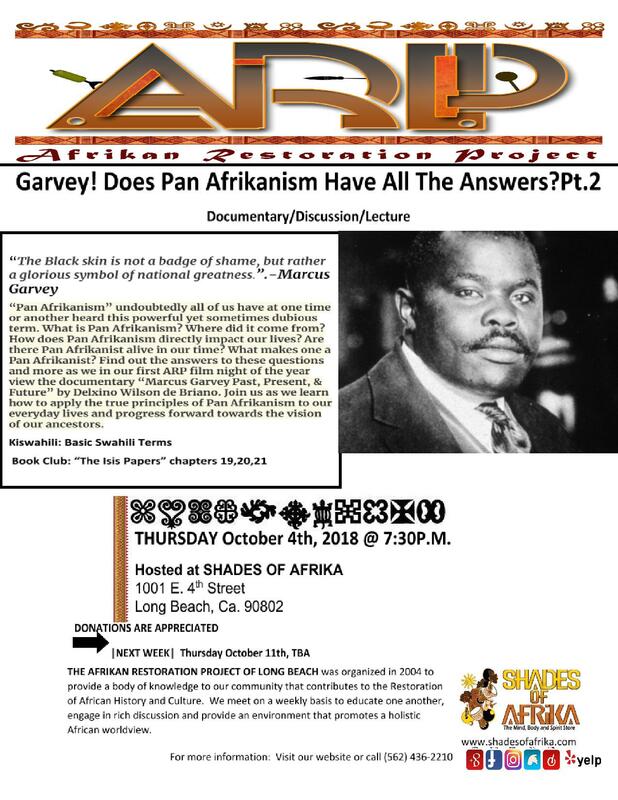 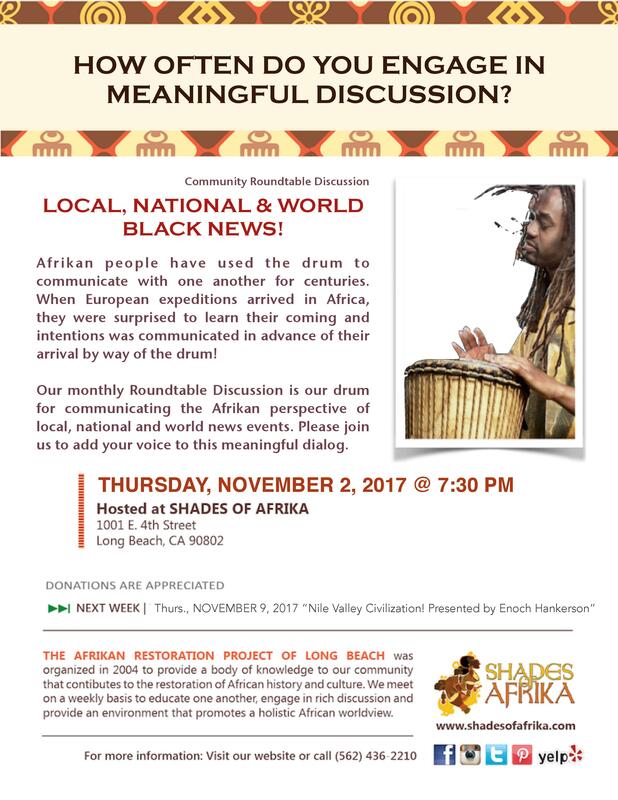 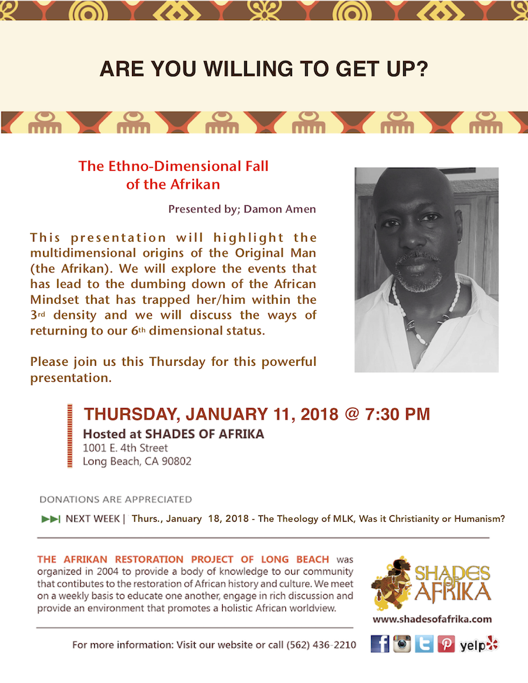 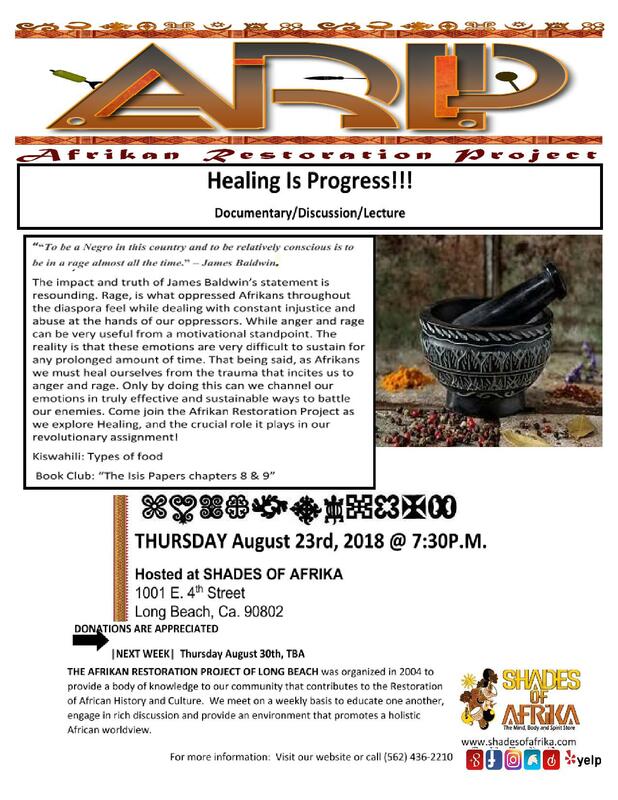 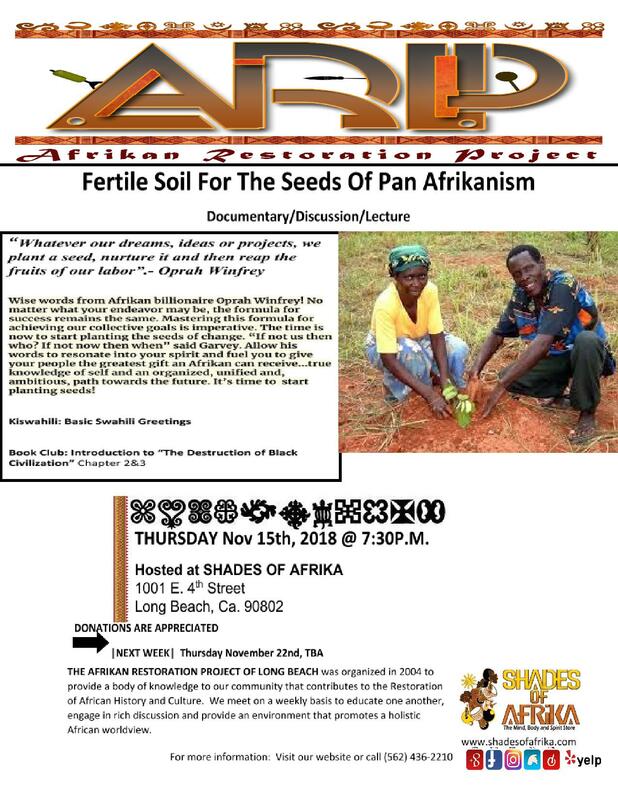 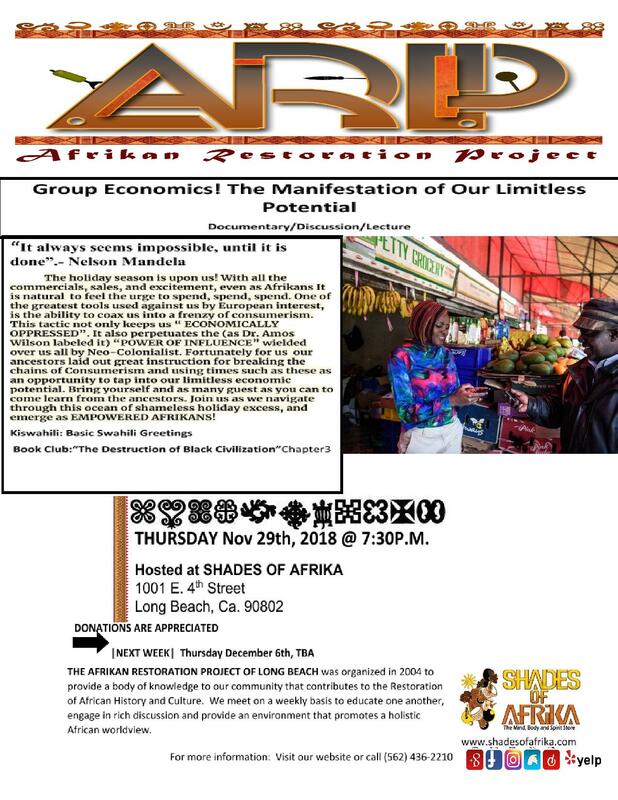 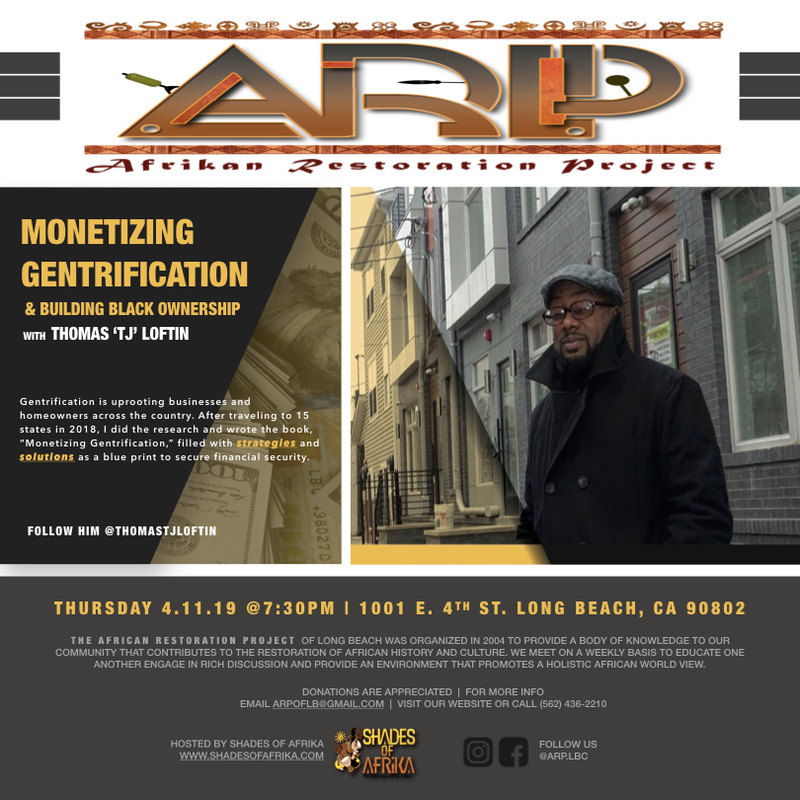 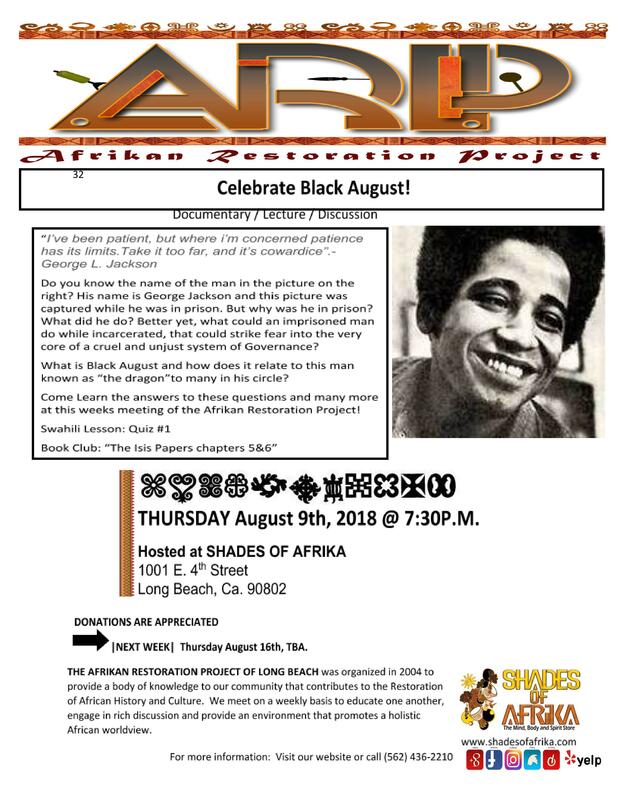 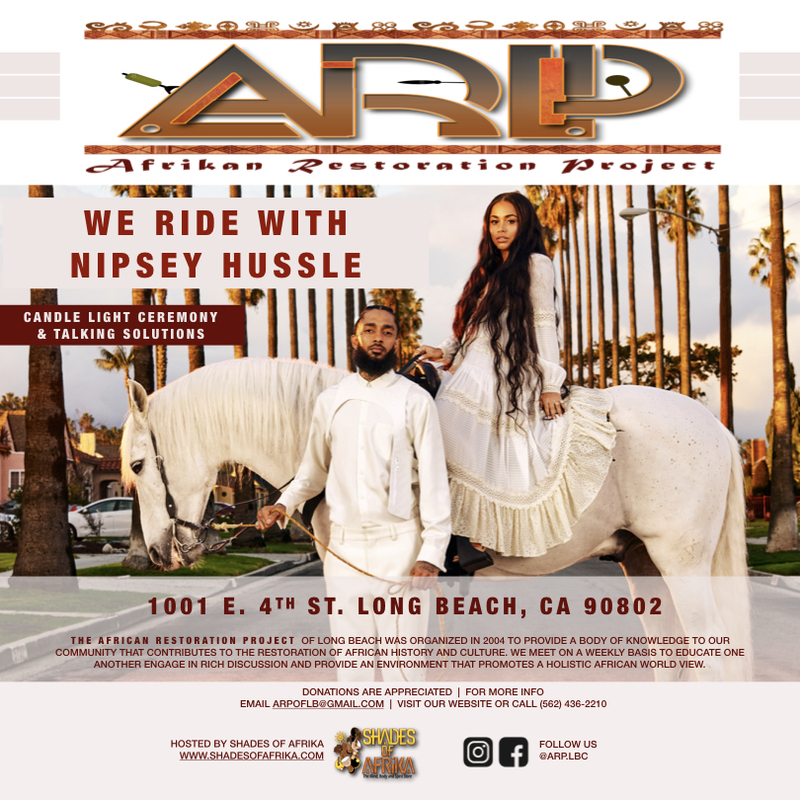 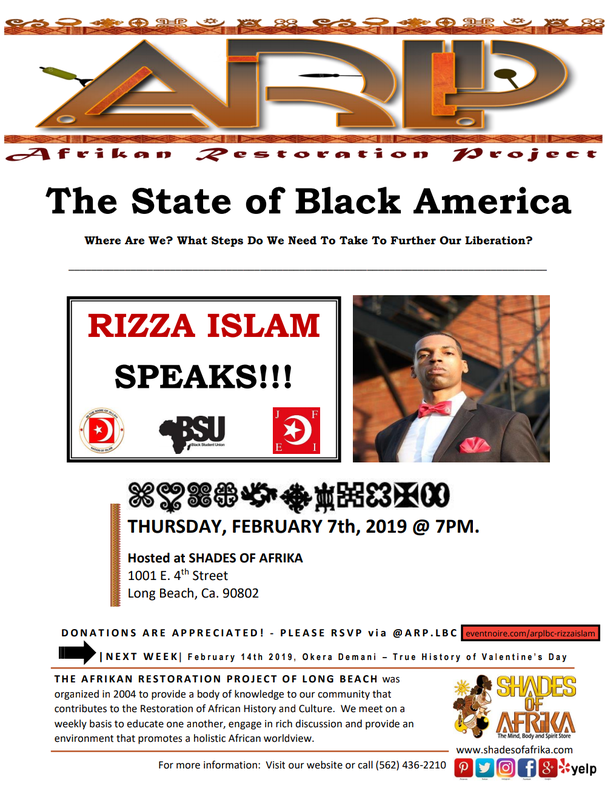 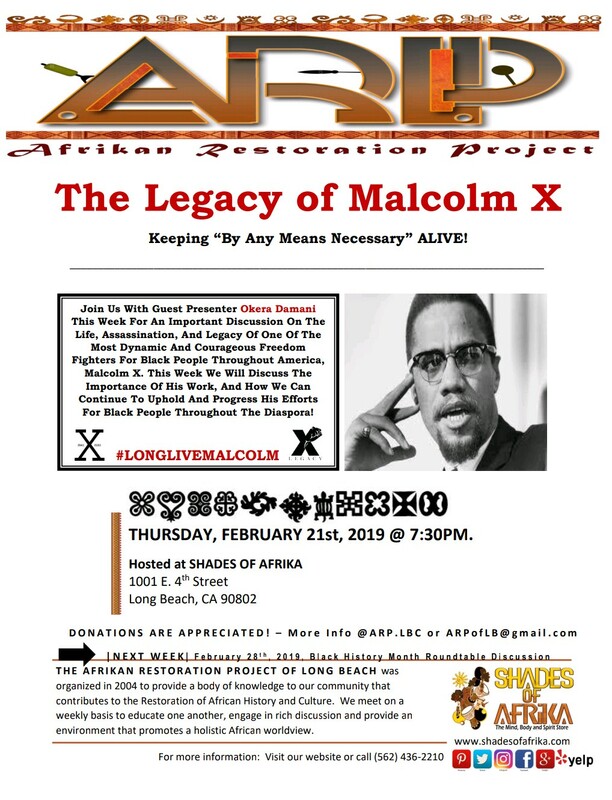 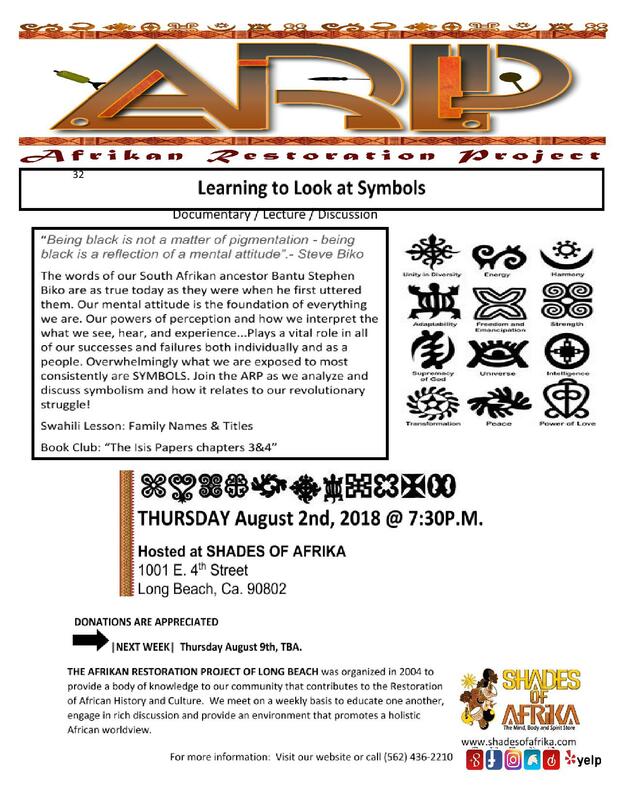 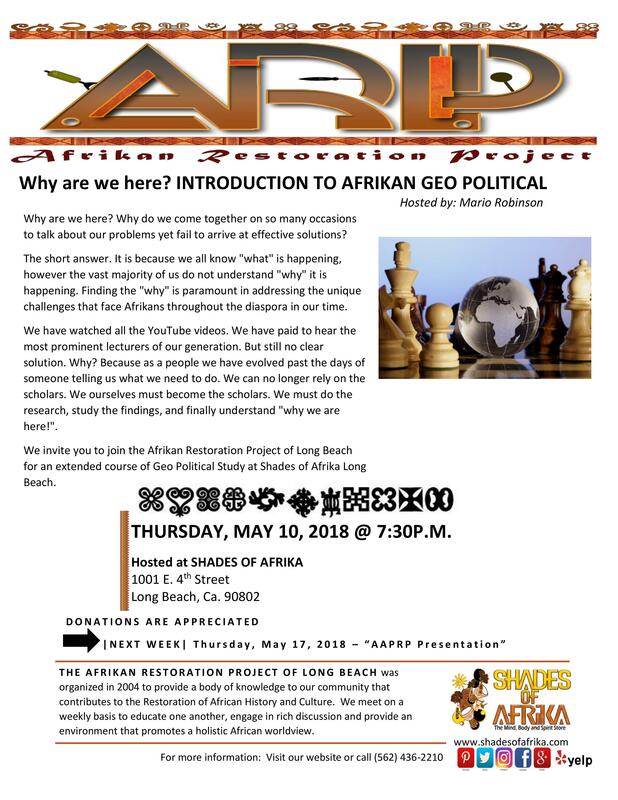 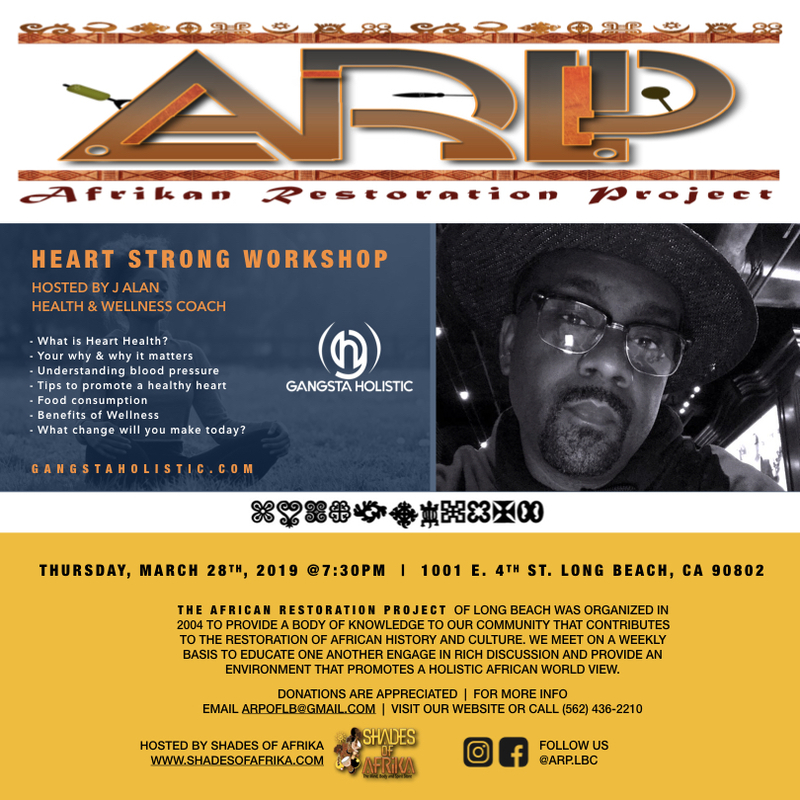 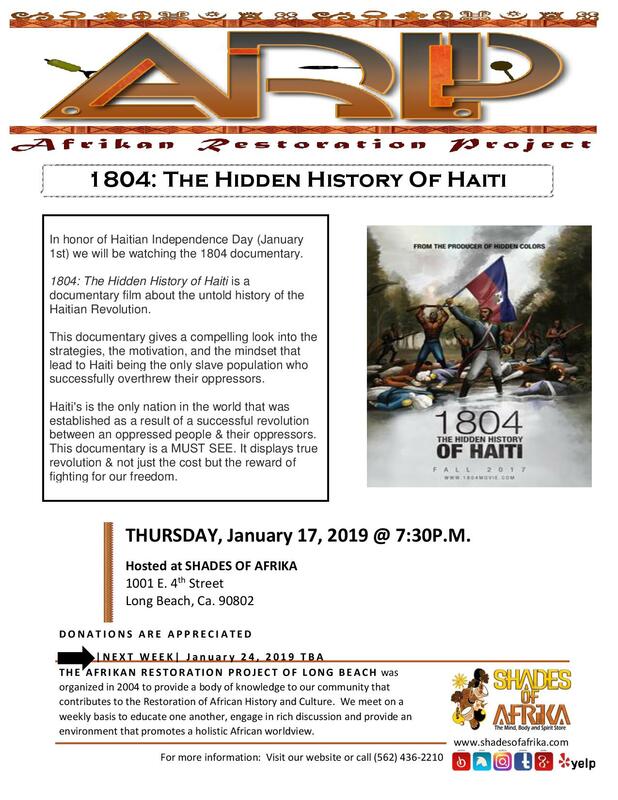 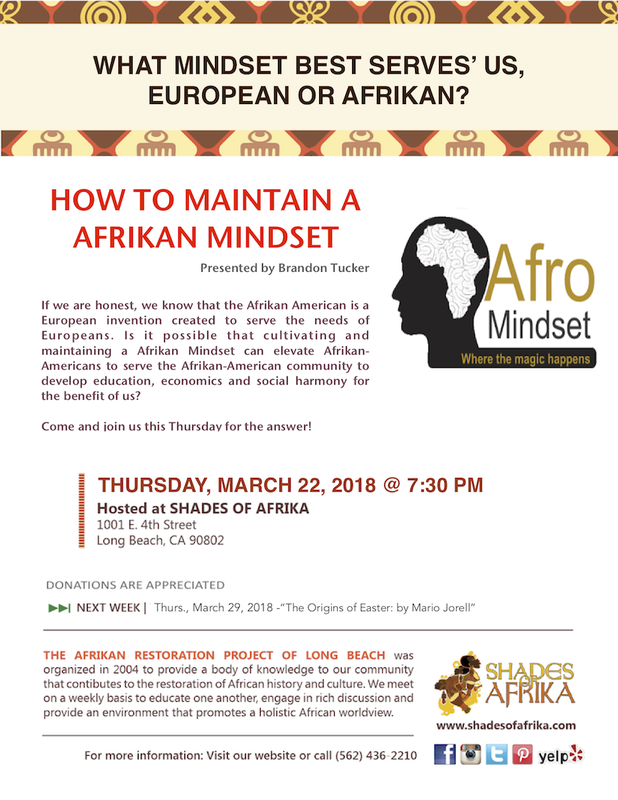 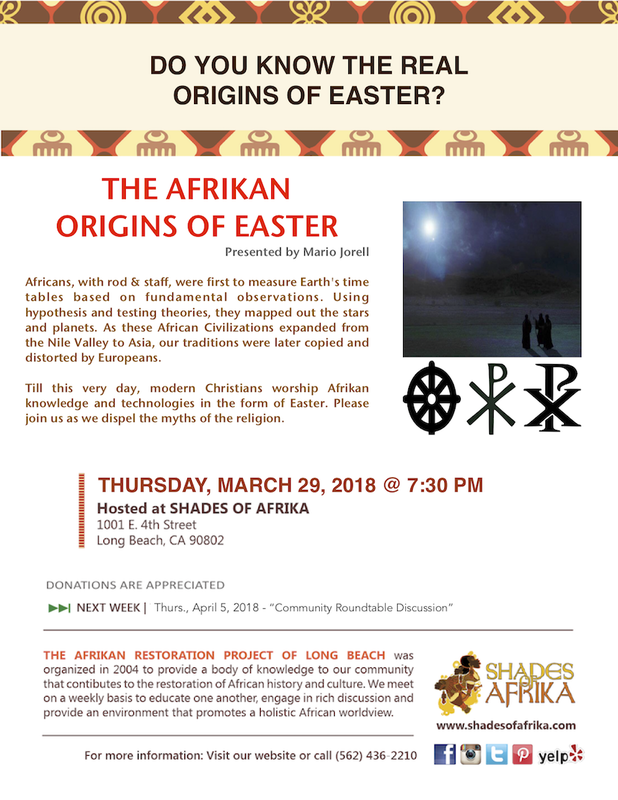 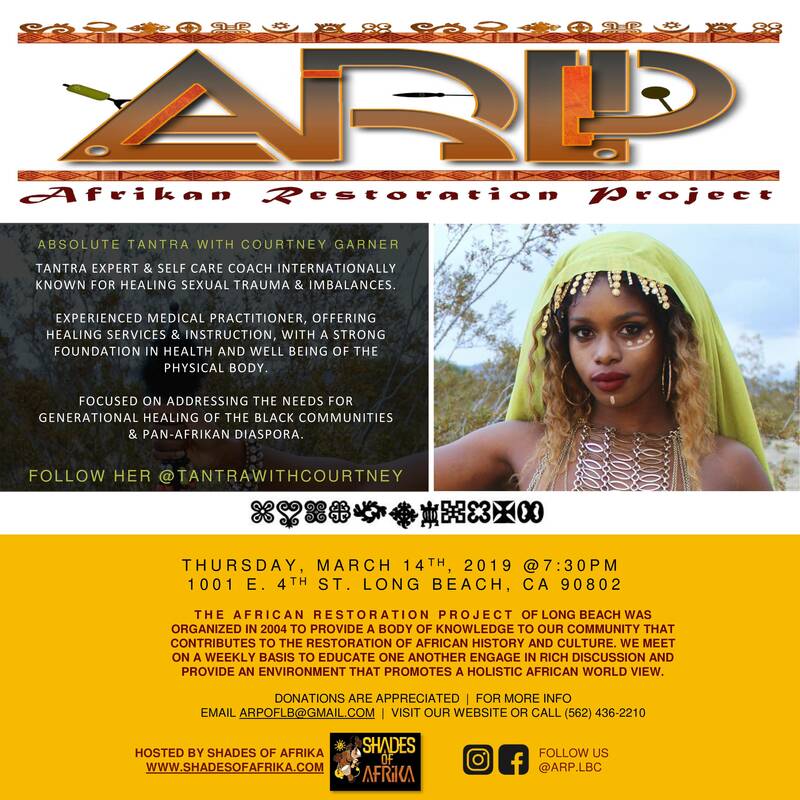 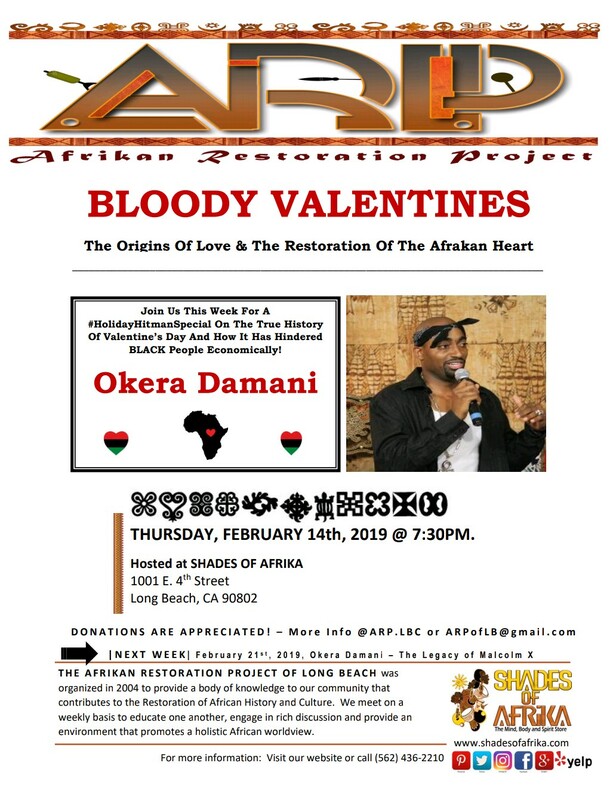 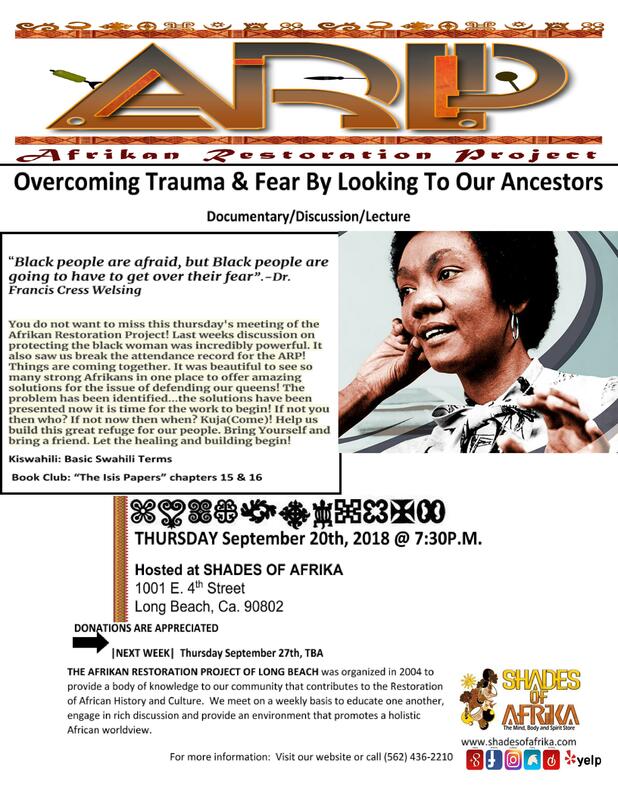 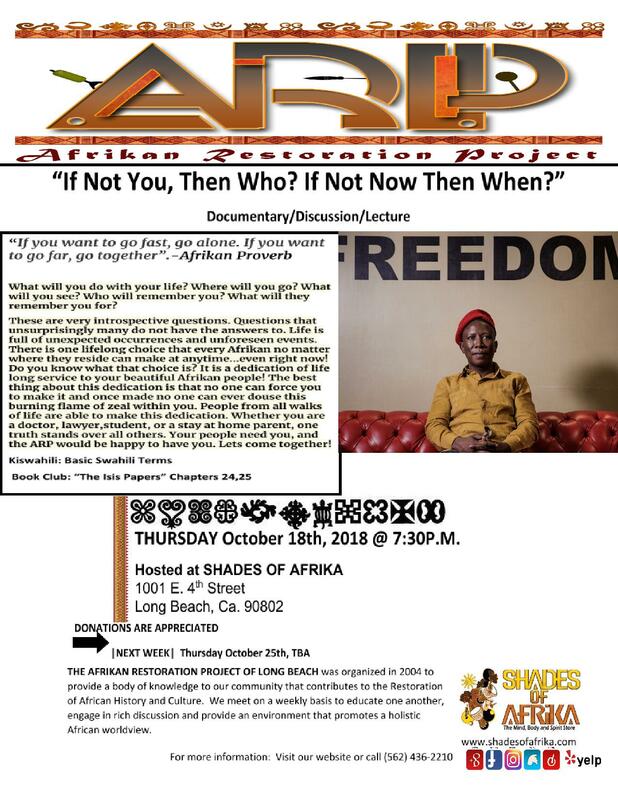 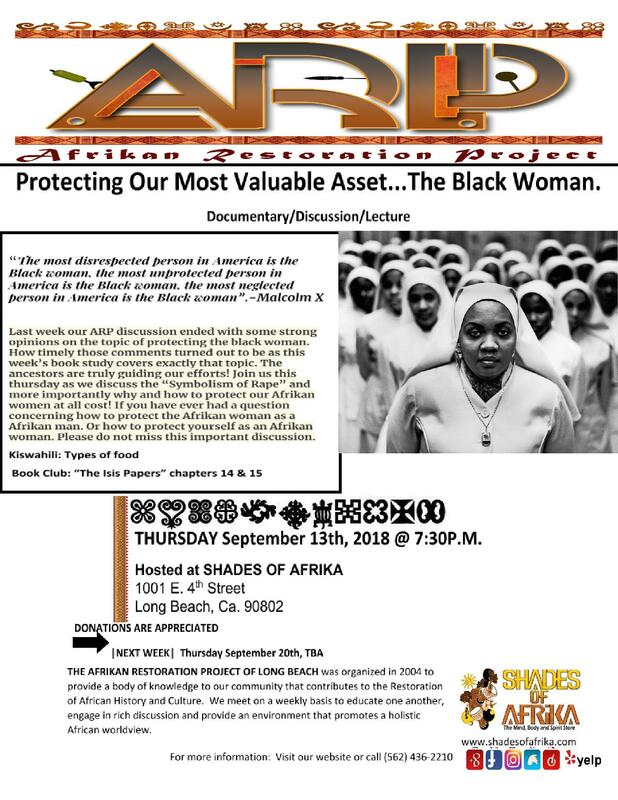 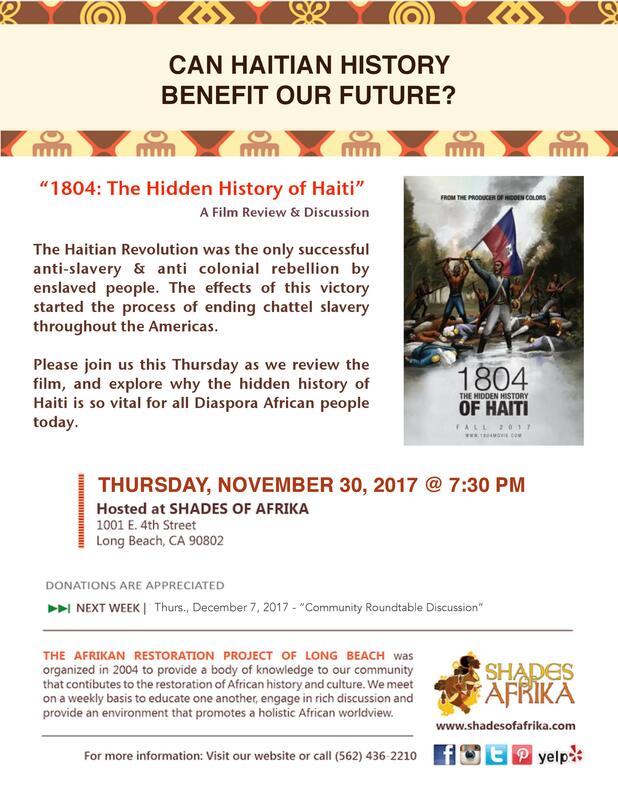 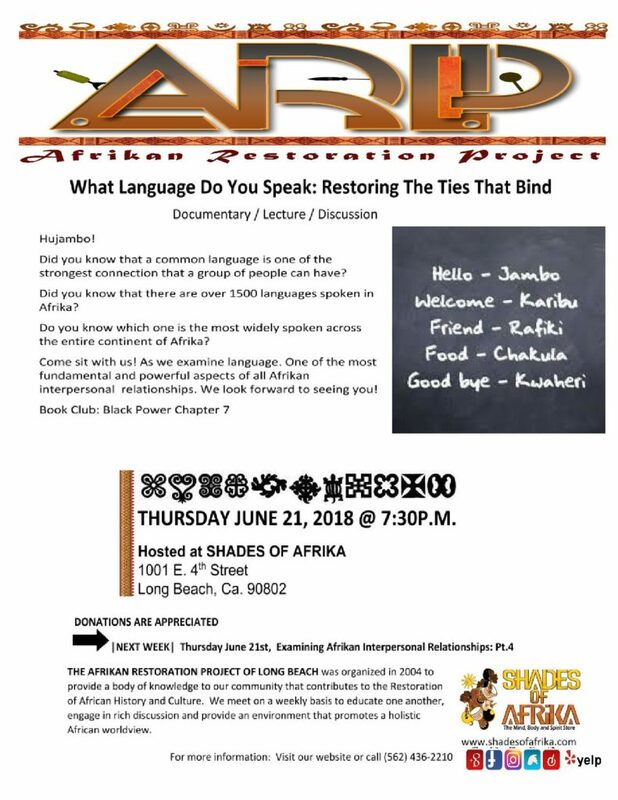 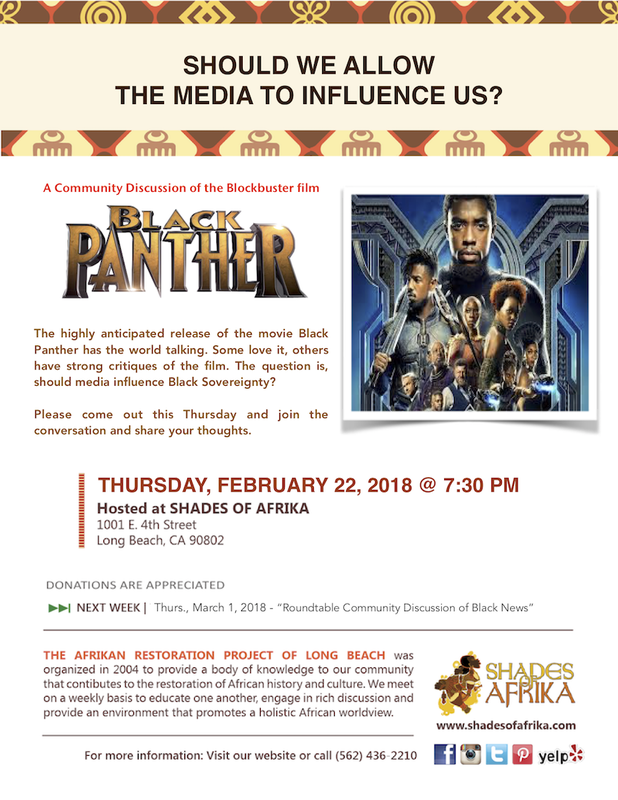 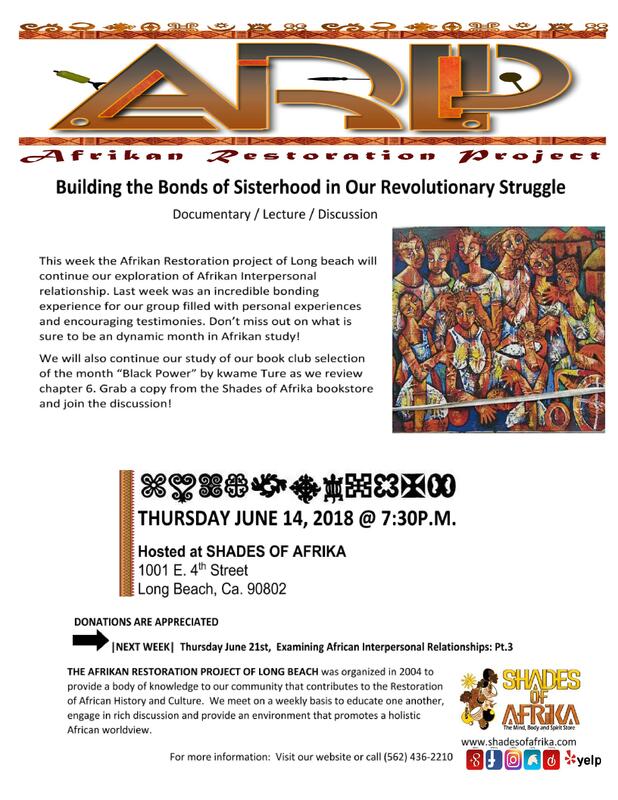 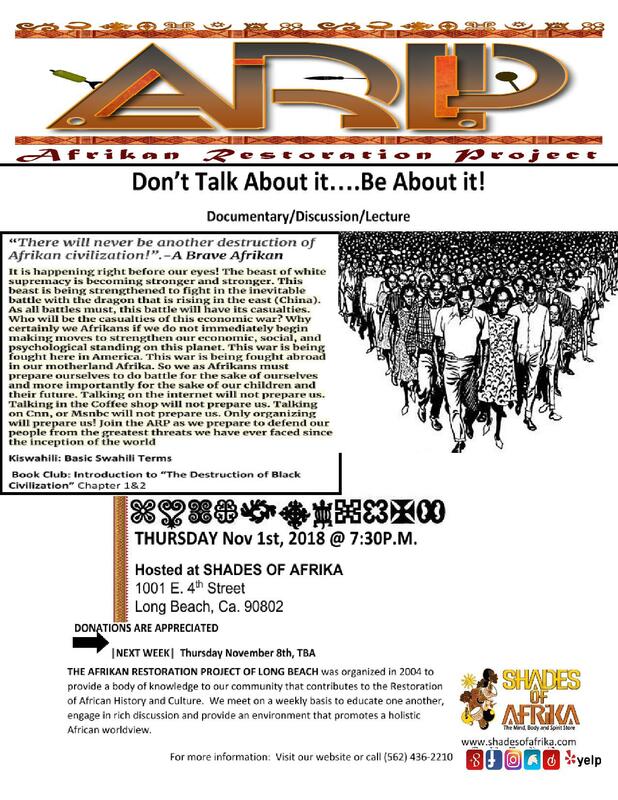 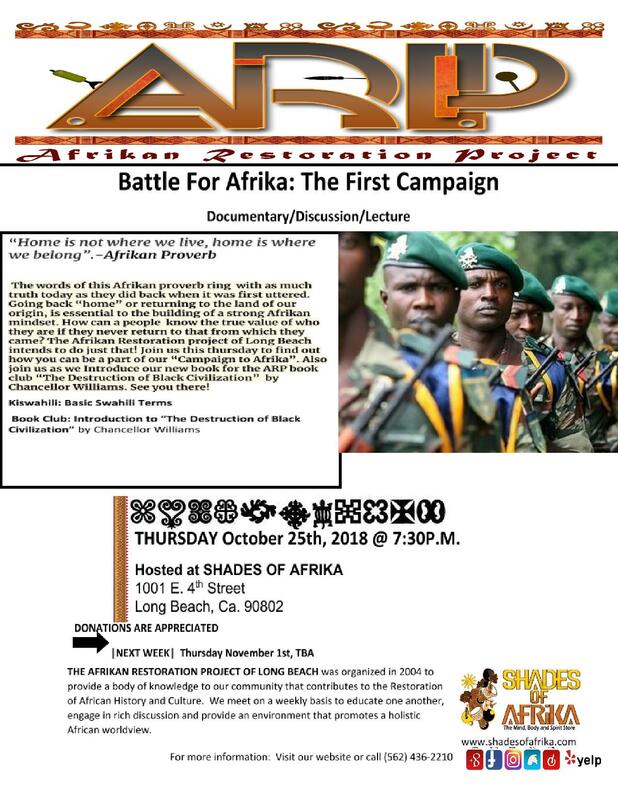 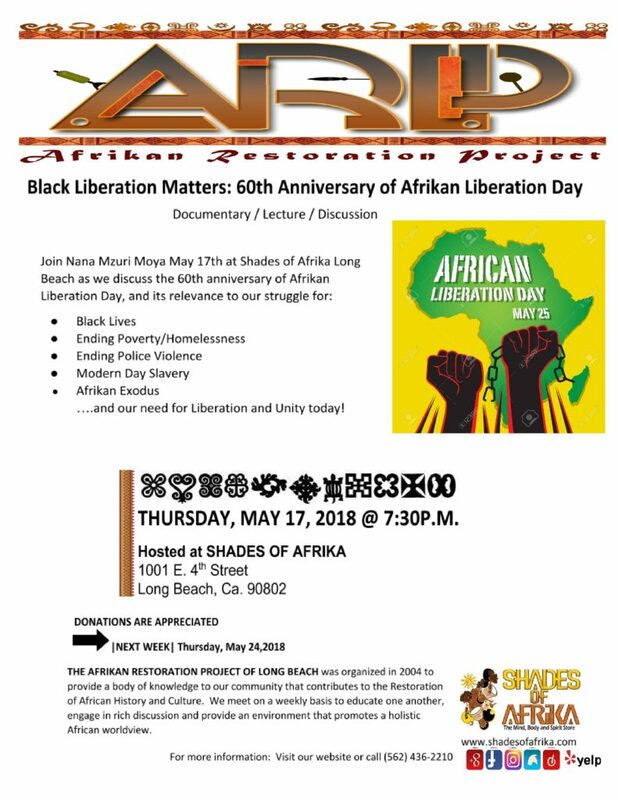 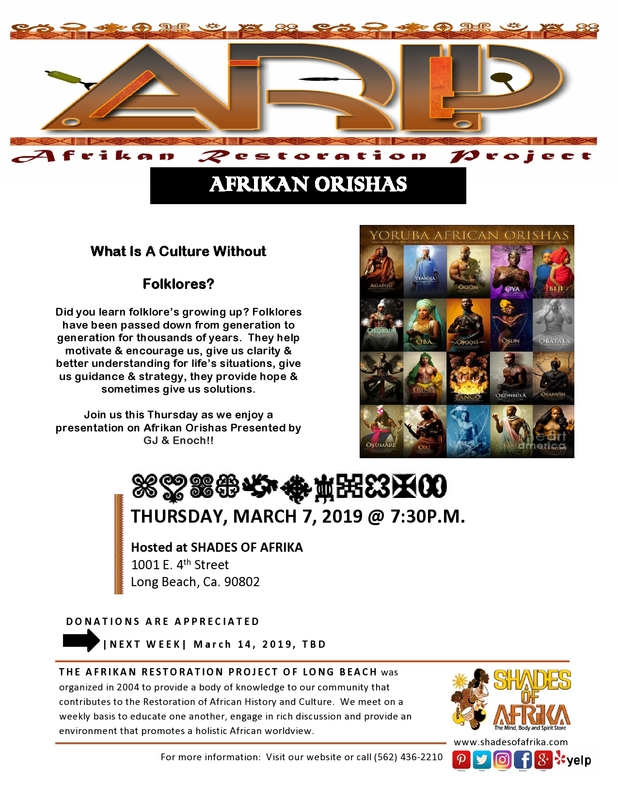 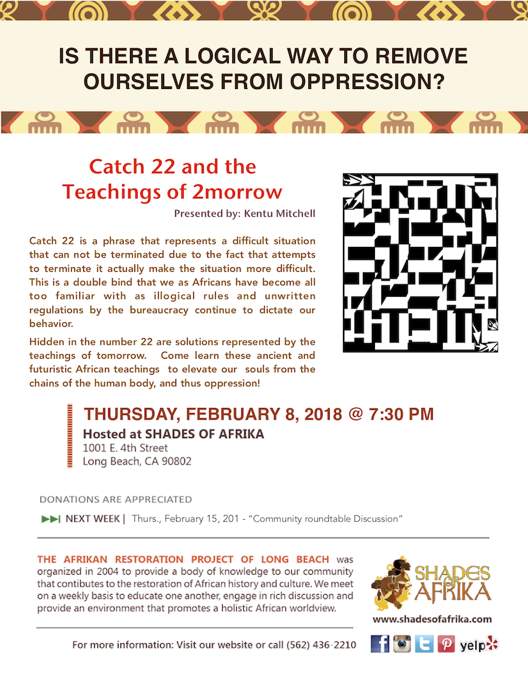 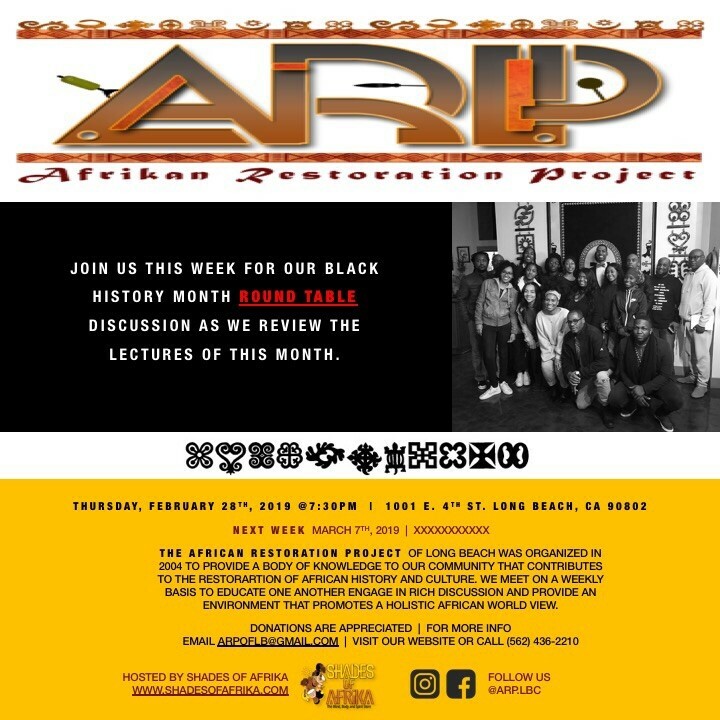 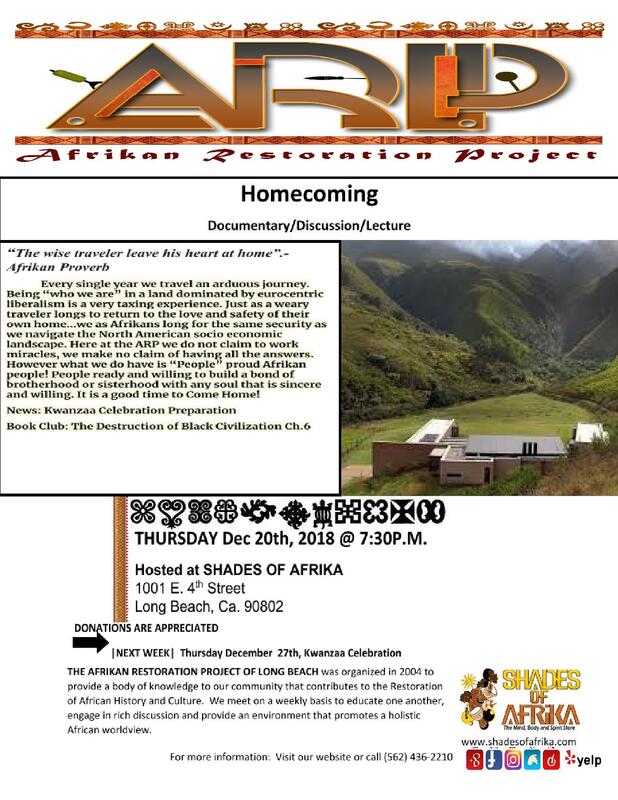 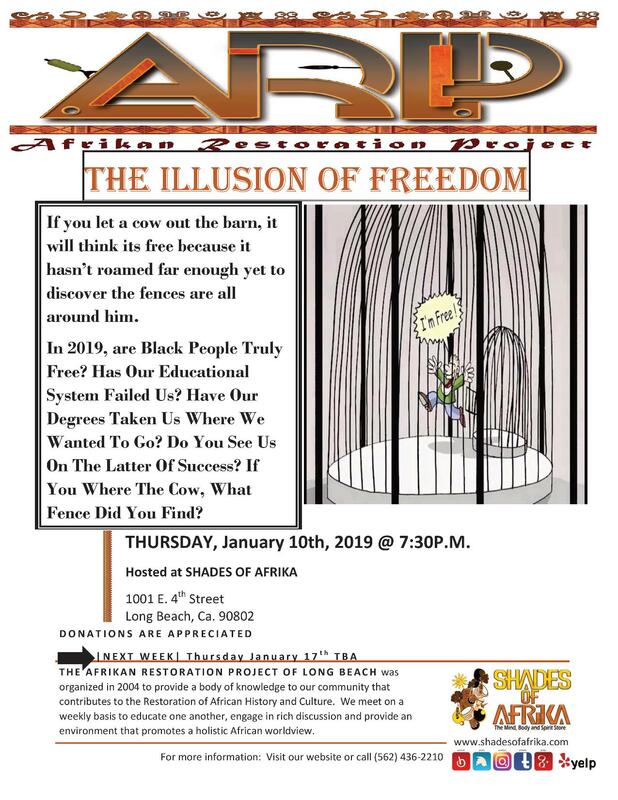 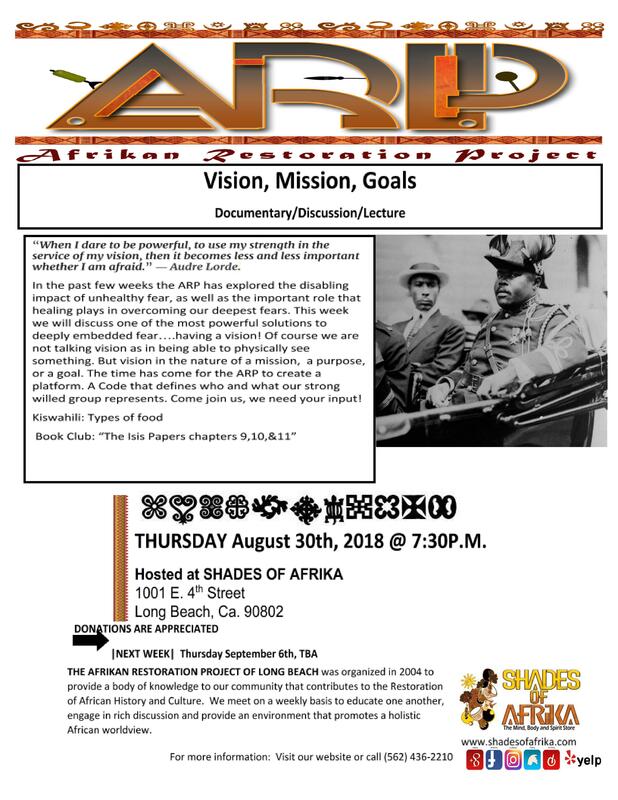 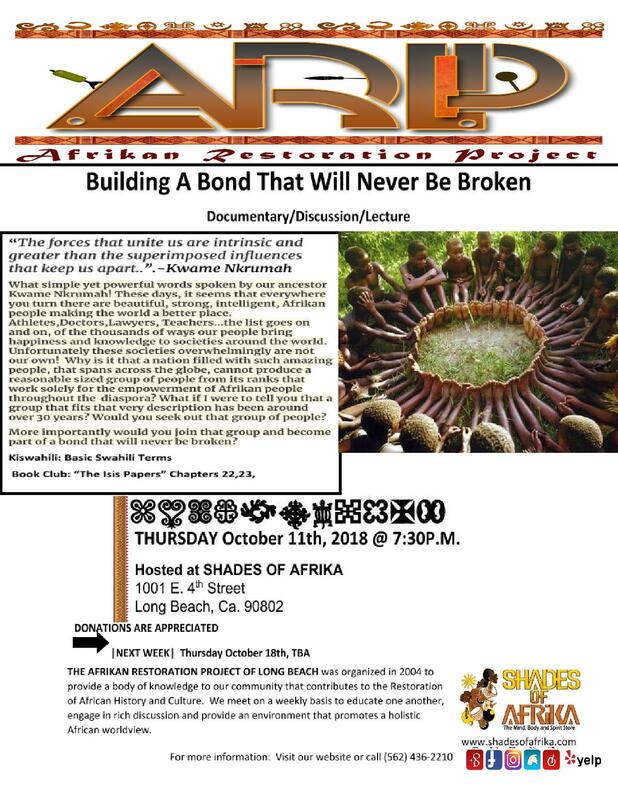 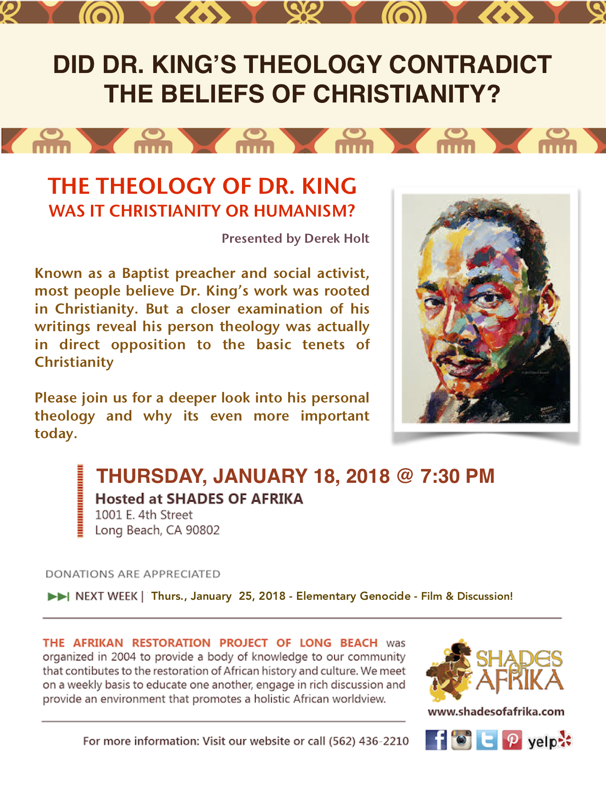 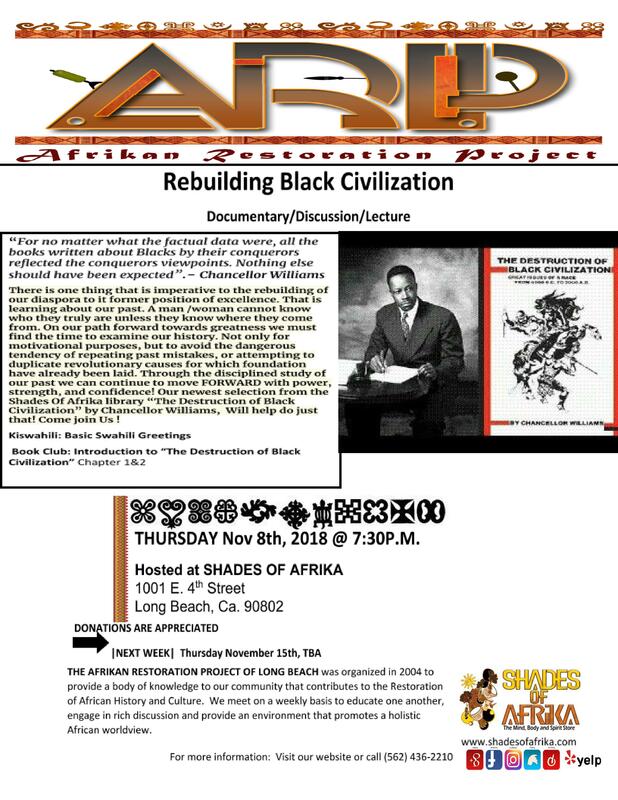 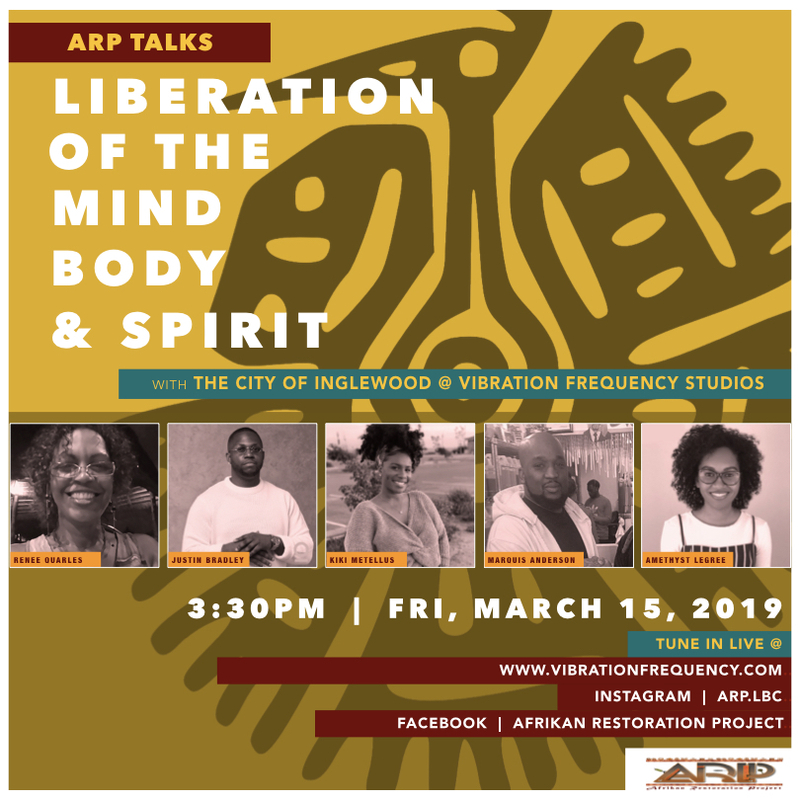 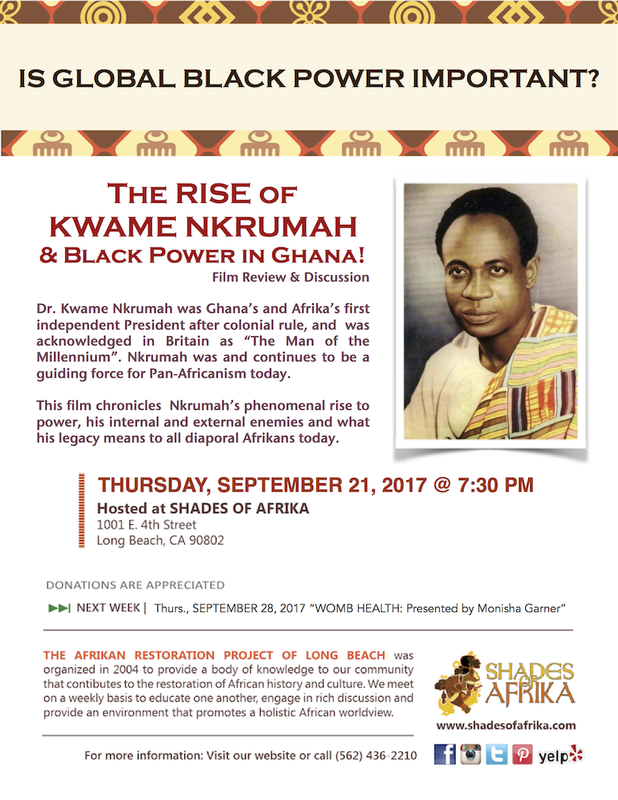 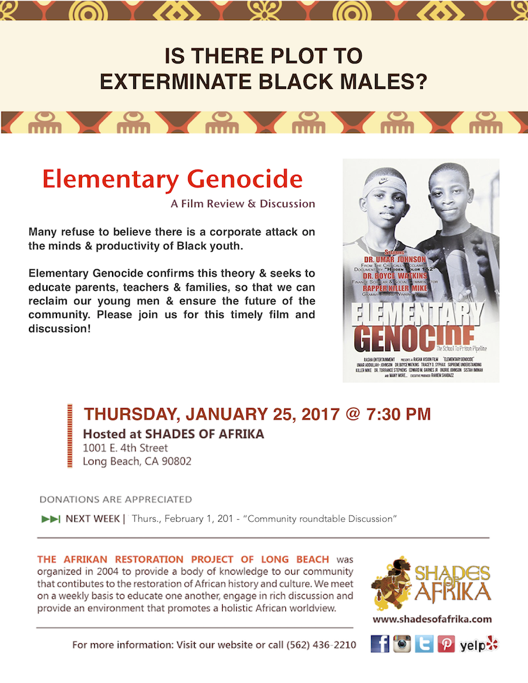 Building on a 23-year tradition, the ARP/LB (Afrikan Restoration Project/Long Beach) organized in October 2009 to be an African cultural resource for our community. We joined ASCAC to expand our efforts to provide a body of knowledge that contributes to the rescue, reconstruction and restoration of African history and culture. 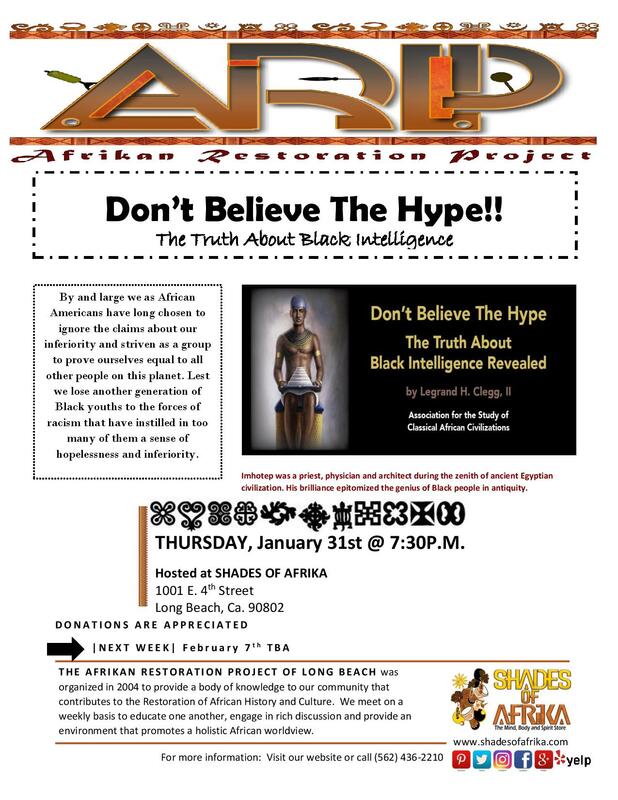 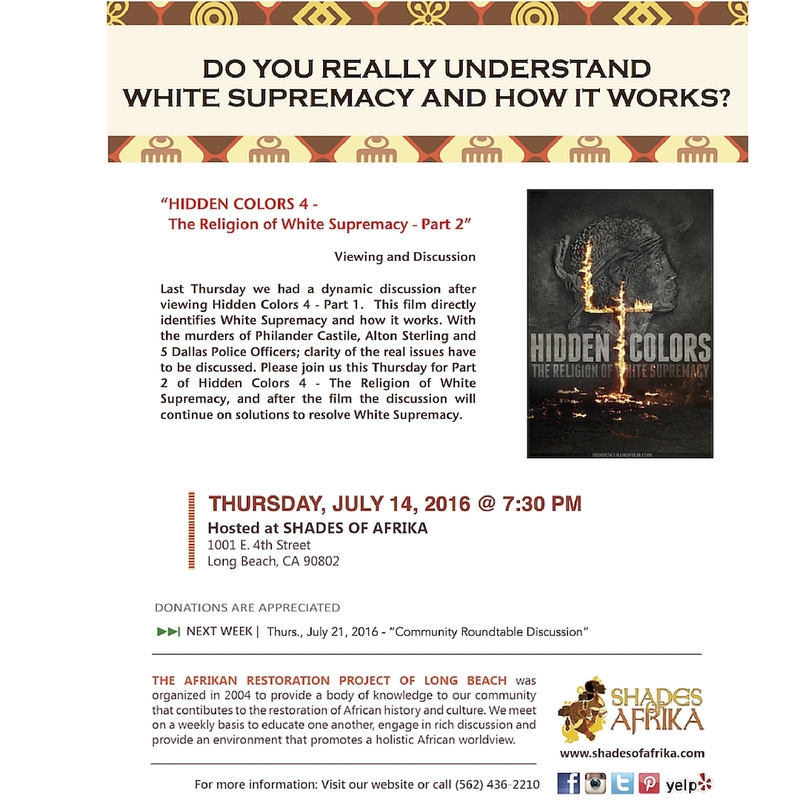 Purpose is to promote the study of African civilizations for the development of an African world view. 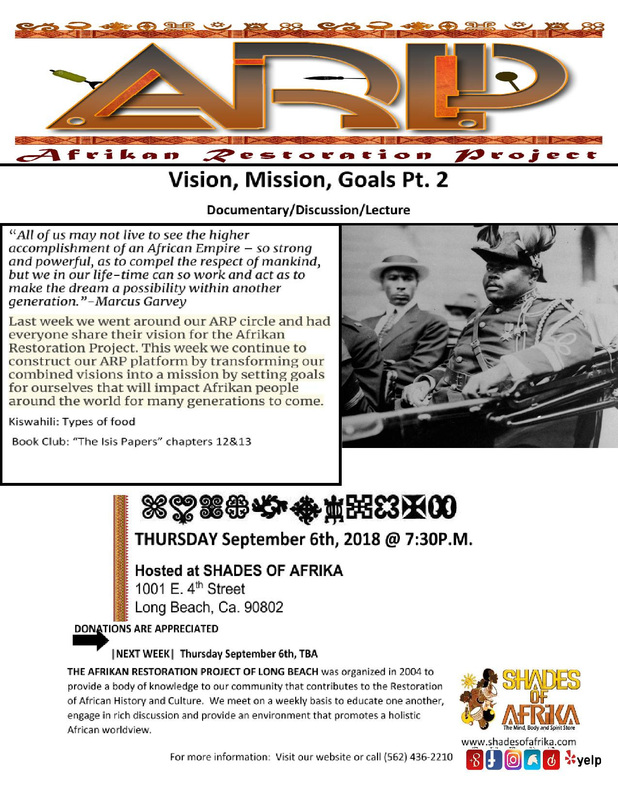 Aim is to build an African centered work/study group and support existing institutions. 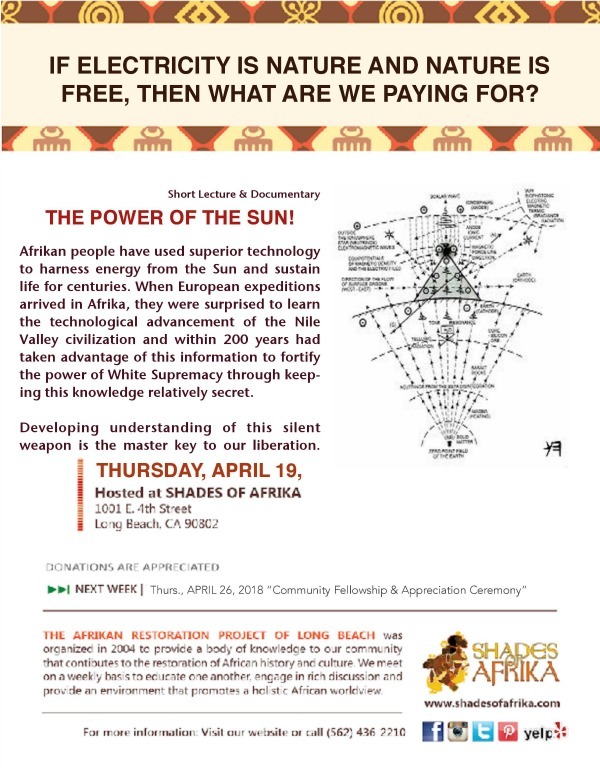 Strategy is to use our accumulated knowledge for the liberation of African people wherever they may be. 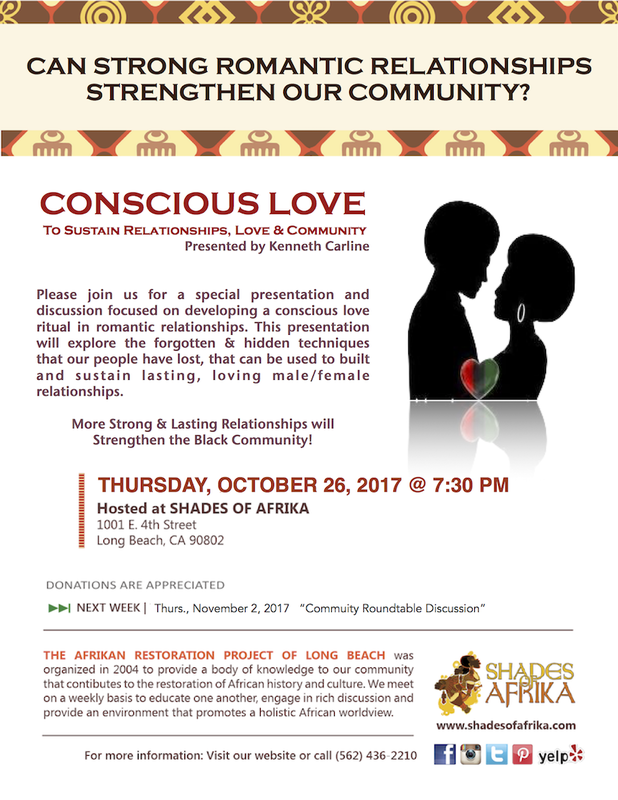 Commitment is to the truth. 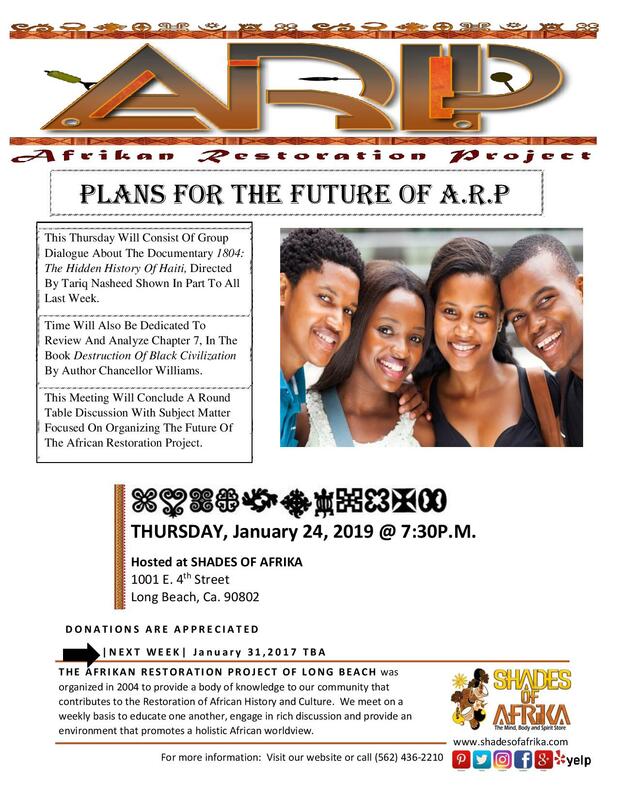 Our achievements and accomplishments will provide the resources necessary for ARP/LB and ASCAC to grow and be recognized as world-class African organizations. 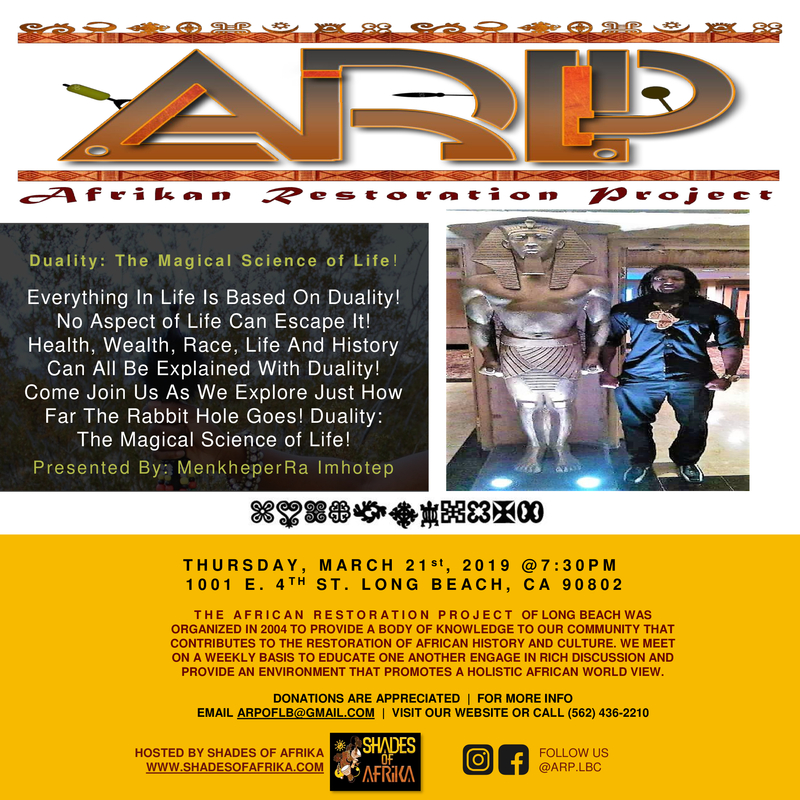 Don't miss the opportunity to be amazed and enlightened by our various guests speakers.